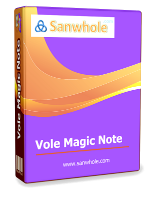 Vole Magic Note Professional 3.58 was available as a giveaway on April 20, 2017! Vole Magic Note lets you create multimedia notes with ease. You can integrate local disk images, audio, video and other documents even online resources such as YouTube, Vimeo, Dropbox and even websites into your daily notes and view in built-in media player. With Multimedia Integration, Rich Text and Magic Touch, Events Reminder, Powerful Search, Dock-tabbed window and six beautiful themes, Vole Magic Note provides you with a new multimedia based notes experience. Please note: the license is provided for 1 year! You can upgrade your license to lifetime for free. Proceed to Sanwhole Store for additional information. How would you improve Vole Magic Note Professional 3.58? iMail is a commercial free, fast, safe and heavy internet and intranet mail solution. Web-client access, Web-admin access, WAN or LAN self-hosted server, and maintenance-free design. No Windows server required, no database server required, unlimited use, unlimited mail accounts, unlimited storage, unlimited attachment size and custom logo. Sanwhole Turnkey iMail3 is an enterprise and school internal email system. 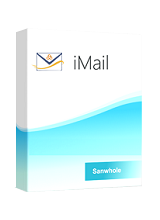 Sanwhole Turnkey iMail3 is used for e-mail sending and receiving within enterprise internal network. Sanwhole Turnkey iMail3 is turkey project. Upon receiving iMail3, you can use it immediately, just plug power, connect network cable and press power button. All the work has been done for you before shipment. Vole Briefcase packs your documents in a single file database; protects your documents with 2048 bits PKCS #12 digital signatures; presents your documents in build-in media player. I like the simple, no nonsense interface, but sadly, it's a non-starter for me without associated smartphone apps. Installed Vole Magic Note on a Windows 8 computer with no error messages. I was able to open the program and register. 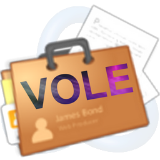 I saved the VoleLicense.txt to the desktop making registration easy. The interface is nice and the multimedia browser/viewer runs smoothly. I was able to save a few notes, webpages, and a video without having to read through the help file. However, I am a little stuck trying to figure out how to open my saved notes/projects. The "projects shortcut" button seems to be locked. I click on it, but nothing happens. If I can figure this out, this program will save me a lot of time. Installed Vole Magic Note on a Windows 8 computer with no error messages. I was able to open the program and register. I saved the VoleLicense.txt to the desktop making registration easy. The interface is nice and the multimedia browser/viewer runs smoothly. I was able to save a few notes, webpages, and a video without having to read through the help file. However, I am a little stuck trying to figure out how to open my saved notes/projects. The "projects shortcut" button seems to be locked. I click on it, but nothing happens. If I can figure this out, this program will save me a lot of time. CC, the software should not lock "projects shortcut" button. If the problem still exists, please contact our support. question to the developer of todays giveaway... why do you include Microsofts Html Help compiler executable and DLL (hhc.exe and hha.dll) with this notes making program? I can understand them being part of the previous vole media CHM giveaway from sanwhole back in 3rd March 2017 but don't see a need to compile/Author CHM files with todays program! TK, We will remove them in the next release. Thank you for your information. Installed fine on Win10 x64 os. Looks like a really nice program so far, i agree. i go for it because i like it. i want to try it as it is something new. Installed fine on Win10 x64 os. Looks like a really nice program so far, i agree. i go for it because i like it. i want to try it as it is something new. Like so many others, I was unable to register the software. The directions given simply did not work. I copied the .txt file to 3-4 different places and always got the same non-activation/registration message. So I uninstalled and am giving a thumbs-down. Maybe the developer can find an easier way to provide activation because I know if I had paid for this I would be very upset and never consider buying from such a developer again. Like so many others, I was unable to register the software. The directions given simply did not work. I copied the .txt file to 3-4 different places and always got the same non-activation/registration message. So I uninstalled and am giving a thumbs-down. Maybe the developer can find an easier way to provide activation because I know if I had paid for this I would be very upset and never consider buying from such a developer again. I installed the software and went through the hoops to get the lifetime license. The problem is that there is no lifetime license. When I tried to download the license file, it said there isn't a valid license file. I uninstalled the program because I don't like programs that are only good for 1 year. If I use the notes, what happens to them after 1 year? So thanks, but no thanks. Hello are these the rules? Norman Wong Free upgrade Professional AUTD 1-Year license to LTUD lifetime license. We will upgrade Professional Edition AUTD 1-Year license to Professional Edition LTUD (lifetime) license for the user that match requirements at special day. We will post the link on the 3rd party website. If you get the link you may continue read. 3) Get at least 10 LIKE votes within the first year at Sanwhole Forums. If you meet 1) and 2), we will upgrade your license in advance. If you meet 3), you can keep the license. 1) Follow the link to purchase the LTUD software for free at promoting day. 2) Login and to your account | VERIFY | UPLOAD DOCUMENT to submit your picture ID and current photo and wait to approve. 3) Download your upgraded license after getting verify confirmation email from Sanwhole. Hello are these the rules? Norman Wong Free upgrade Professional AUTD 1-Year license to LTUD lifetime license. We will upgrade Professional Edition AUTD 1-Year license to Professional Edition LTUD (lifetime) license for the user that match requirements at special day. We will post the link on the 3rd party website. If you get the link you may continue read. Requirements: 1) You’ve got valid Professional AUTD 1-Year license 2) Pass real name authentication 3) Get at least 10 LIKE votes within the first year at Sanwhole Forums. If you meet 1) and 2), we will upgrade your license in advance. If you meet 3), you can keep the license. To upgrade your license follow these simple steps: 1) Follow the link to purchase the LTUD software for free at promoting day. 2) Login and to your account | VERIFY | UPLOAD DOCUMENT to submit your picture ID and current photo and wait to approve. 3) Download your upgraded license after getting verify confirmation email from Sanwhole. This is certainly the worst piece of software I have ever downloaded from GOTD. I did finally get it downloaded and registered but it's not easy. Then I tried it and I can see it's going to be an uphill battle to learn to use it. Recommend that you don't waste your time. The account registration and lifetime license process does not work. I for one am not going to give him my real name, address, photograph etc in the hope of getting 10 likes in the first year on his blog, only to get something worth $31 for free. After one year, I will either uninstall the giveaway, or pay $31 for a life long licence of the then current version. My alternatives are Treepad (Dutch product) and AllMyNotes (Ukrainian product). Strange that Norman Wong does not react to postings regarding difficulties around licencing. He has a complex licencing system. You can choose one year for $15, four years for $50, life time with minor updates for $31 and life time with mayor updates for $78: https://sanwhole.com/iStore/Products.aspx?C=7a1a9dfaf085422c9412b5efc4cdb1e7 https://sanwhole.com/iExchange/Message.aspx?Sanwhole+Products+Licenses&gash=adaa93c68bf743f29434c3d93069fa2a&tash=3ad25848f081465ba73551d33fad7816&cash=f17709fdb2c044afa588d286373d1407 I for one am not going to give him my real name, address, photograph etc in the hope of getting 10 likes in the first year on his blog, only to get something worth $31 for free. After one year, I will either uninstall the giveaway, or pay $31 for a life long licence of the then current version. My alternatives are Treepad (Dutch product) and AllMyNotes (Ukrainian product). The software looks interesting and I can see where it will be helpful to me. I do have concerns about what to expect from the developer. The website is very sluggish and has several glitches. I set up an account. When I log in, I get an error about an invalid login, but my user name appears and I can access the site. I "purchased" the free lifetime license. That license is listed in my account purchases. But when I click on the link to download the license file, I receive an error of no valid licenses. If I am going to have any trust in an application, I need to see that the developer is organized, thorough and is prepared to support the user. In this case, I just don't see that. The software looks interesting and I can see where it will be helpful to me. I do have concerns about what to expect from the developer. The website is very sluggish and has several glitches. I set up an account. When I log in, I get an error about an invalid login, but my user name appears and I can access the site. I "purchased" the free lifetime license. That license is listed in my account purchases. But when I click on the link to download the license file, I receive an error of no valid licenses. If I am going to have any trust in an application, I need to see that the developer is organized, thorough and is prepared to support the user. In this case, I just don't see that. It would appear SpamHouse or whoever the mail server is using blocks the email from SanWhole thus registering on their website fails. Had to disable anti virus to install. The reason why you are unable to register and complete the installation is that the license folder is compressed. 1 Locate downloaded file VoleMagicNoteProfessional358-0ojh2b . It remains compressed even if contents are visible and accessible - it would not properly install - as you have all discovered. 2 Right click on the file and select extract all. 3 Extract to another folder - Use same name for records keeping if you wish. You must extract to another folder or you will not see the file you need to register the program. 4 Install and follow registration instructions as usual. 6 then click the KEY menu. and select the "VoleLicenses.txt" file which is included in the archive. 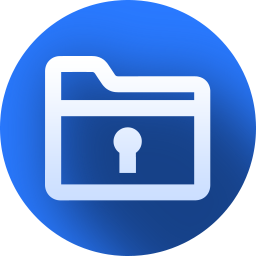 Click the top right "Renew Code Manager" (with a key icon ) button and choose the license. But even if you miss out ...the freeware version of Vole Magic Note is very nice too! Just in case you are one of lucky few that gets the lifetime edition of todays giveaway (still 44 licenses left at this very moment) please read this excerpt from the Sanwhole support centre: <em>We will upgrade Professional Edition AUTD 1-Year license to Professional Edition LTUD (lifetime) license for the user that match requirements at special day. We will post the link on the 3rd party website. If you get the link you may continue read. Requirements: 1) You’ve got valid Professional AUTD 1-Year license 2) Pass real name authentication 3) Get at least 10 LIKE votes within the first year at Sanwhole Forums. If you meet 1) and 2), we will upgrade your license in advance. If you meet 3), you can keep the license. To upgrade your license follow these simple steps: 1) Follow the link to purchase the LTUD software for free at promoting day. 2) Login and to your account | VERIFY | UPLOAD DOCUMENT to submit your picture ID and current photo and wait to approve. 3) Download your upgraded license after getting verify confirmation email from Sanwhole </em> But even if you miss out ...the freeware version of Vole Magic Note is very nice too! Hope to answer your questions. Thank you! This is how you get upgrade to lifetime license from their web site.
""""""""" Norman Wong Free upgrade Professional AUTD 1-Year license to LTUD lifetime license. SANWHOLE3 days ago 17 Mon .""""""" In other words you may never get the lifetime license since they control who and how will get one or not. Most likely nobody will qualify for such license unless you pay for it. This is how you get upgrade to lifetime license from their web site. """"""""" Norman Wong Free upgrade Professional AUTD 1-Year license to LTUD lifetime license. We will upgrade Professional Edition AUTD 1-Year license to Professional Edition LTUD (lifetime) license for the user that match requirements at special day. We will post the link on the 3rd party website. If you get the link you may continue read. Requirements: 1) You’ve got valid Professional AUTD 1-Year license 2) Pass real name authentication 3) Get at least 10 LIKE votes within the first year at Sanwhole Forums. If you meet 1) and 2), we will upgrade your license in advance. If you meet 3), you can keep the license. To upgrade your license follow these simple steps: 1) Follow the link to purchase the LTUD software for free at promoting day. 2) Login and to your account | VERIFY | UPLOAD DOCUMENT to submit your picture ID and current photo and wait to approve. 3) Download your upgraded license after getting verify confirmation email from Sanwhole. Created by Vole Word to Website, Sanwhole Presents. (www.sanwhole.com) SANWHOLE3 days ago 17 Mon .""""""" In other words you may never get the lifetime license since they control who and how will get one or not. Most likely nobody will qualify for such license unless you pay for it. I just upgraded to free lifetime license but when I press on download license it says "no valid license"
I didn't see any evidence of an IOS version, or Android for that matter. If that's true it seems a bit of an oversight for a note app. Especially in this day and age. I was kind of hoping for a solution to my problem, which is why I took the time to post it in the first place. Can the software provider help me out here? Please? Thank you for this giveaway. May I ask you a question? How to download license file after purchasing lifetime license from the link you (GOTD) gave me? Hope to receive your assistance. I have the same question/problem. I registered with Sanwhole and went through the purchase process. However, now I can't download my license file from within my "iSANWHOLE ACCOUNT". I always get the error "There is no valid license!!!" when clicking the download button. Please review the process and give assistance on how to obtain the license file. Oliver, Norman Wong Free upgrade Professional AUTD 1-Year license to LTUD lifetime license. Oliver, Norman Wong Free upgrade Professional AUTD 1-Year license to LTUD lifetime license. We will upgrade Professional Edition AUTD 1-Year license to Professional Edition LTUD (lifetime) license for the user that match requirements at special day. We will post the link on the 3rd party website. If you get the link you may continue read. Requirements: 1) You’ve got valid Professional AUTD 1-Year license 2) Pass real name authentication 3) Get at least 10 LIKE votes within the first year at Sanwhole Forums. If you meet 1) and 2), we will upgrade your license in advance. If you meet 3), you can keep the license. To upgrade your license follow these simple steps: 1) Follow the link to purchase the LTUD software for free at promoting day. 2) Login and to your account | VERIFY | UPLOAD DOCUMENT to submit your picture ID and current photo and wait to approve. 3) Download your upgraded license after getting verify confirmation email from Sanwhole. Kindly speaking, if you can't make a software atleast don't show you dislike it. If you're not gonna use it just move on, there's no need to click on the dislike button. Everytime you dislike it, someone gets hurt cuz of you..
Nobody's intereted in knowing if you like it or not. I personally feel GAOTD guys should remove that dislike button. Respect the developers because they GIVEAWAY their months of hard work for free. It takes time and perseverance to make something. Dharnish, My understanding is that the purpose of the site is to collect input from the users. Input can be positive or negative depending on the experience they have using or attempting to use the software. We are beta testers and evaluate the software AND the software company. What good is it to giveaway something if it doesn't work or the company is not responsive? I'm not only a user, I'm also a business owner and understand that creating a worthwhile product is one part of my job, standing behind it and satisfying the consumer is another part of my job AND listening to the consumer is another part - just for the record, there are many other parts of my job, those are just a few of them. Seems to me the "dislike" button serves an important purpose and the 52 "no" votes seem to indicate others agree. DaveC, Usually when I cannot get programs from here (I did not DL this one) to work/install, I temporarily turn off the antivirus and firewall while downloading and it solves the problem of not running, not installed, or no program to activate. CN, Appreciate you taking the time to reply to my post but turning off my antivirus/firewall is something I wouldn't recommend any does especially to download software from a company I personally have never heard of before. Don't get me wrong, I strongly believe that GOTD would never allow anything harmful on the site, buggy and useless maybe, but I'm not prepared to take the chance, if others are happy to do this that's their risk. I have adopted the policy of that if it doesn't work for any reason, forget it and look for similar elsewhere. Cheers, enjoy the rest of your day. The vendors installer and the vendors portable downloadable zip accept the license file provided in the giveaway zip bundle. I have installed, activated, and registered an account successfully...but must be missing something. On the sanhole site I don't see any instructions or way to grab the lifetime license once I am logged in. What am I missing? Can someone post a screenshot or a good tip on how to get the lifetime update? Thanks. The other thing that I went searching for was their product distinctions between "Vole Magic Note Professional Edition LTUD" and "Vole Magic Note Professional Edition LTUG" - I did not find the answer, but given the differences in their pricing of the products I think that "LTUD" is lifetime updates and "LTUG" is lifetime upgrades. JohnW2, I was interested in the Lifetime License also and did some research and found this on the Sanwhole website: https://sanwhole.com/iExchange/Message.aspx?Free+upgrade+Professional+AUTD+1-Year+license+to+LTUD+lifetime+license&gash=adaa93c68bf743f29434c3d93069fa2a&tash=0e1c1df96965466b80c725c5a05a96a1&cash=f17709fdb2c044afa588d286373d1407 The other thing that I went searching for was their product distinctions between "Vole Magic Note Professional Edition LTUD" and "Vole Magic Note Professional Edition LTUG" - I did not find the answer, but given the differences in their pricing of the products I think that "LTUD" is lifetime updates and "LTUG" is lifetime upgrades. The activation was GOTD'c btw, not the software itself. There was no software install pane / splash screen. Download and install from GAOTD as usual. Disregard the developer's website. EZPC Tech, Download and install from GAOTD as usual. Disregard the developer's website. Hi, thanks for your offer. Well, I installed the software, it successfully activated aparently and... well that's it... nothing happens. Nothing in the task bar, nothing in right click, nothing in the start menu. Admittedly I know nothing about this software or its concept, but am I missing something here? Or is mine one of 'those' computers? I'm running Win 7 64Bit. Cheers. ms, Usually when I cannot get programs from here (I did not DL this one) to work/install, I temporarily turn off the antivirus and firewall while downloading and it solves the problem of not running, not installed, or no program to activate. CN, I'm sure you are trying to be helpful, but advising people to turn of their anti-virus and firewall protection ... Are you nuts! They are there to protect your PC, disabling them leaves your system wide open to attack. There is ALWAYS the possibility of a virus or malware lurking somewhere in the background waiting for such an opportunity to invade your system destroy your files, steal your identity etc. Wake up and smell the coffee. DaveC, Well that's the solution for many problems with failure to download and not only at this site. Even Windows updates can sometimes be blocked. BTW even tho you are correct that the threat is there I've never have had a problem. But I still run full scans every week. CN, weekly scans won't help if you have become infected after the last scan and it was a rootkit or bootkit that your anti-malware scan cannot detect once its active but could have blocked with it's heuristics and other realtime protect IF it had been left on all the time. First port of call when giveaway setup wrapper is blocked by your AV system is try the vendors installer before you consider suspending your AV protection! It will not let me enter the registration info. damon mccoy, via the menu you can point out where the licence file is located. !!!IMPORTANT!!! Do NOT remove the file "VoleLicenses.txt"; it's best to move the file to a safe folder and repeat the "Specify License File" procedure." Then restart the program to have the license properly applied! damon mccoy, READ the Readme.txt file follow the instructions "To activate your license, run the software, click top right "Advanced" button (with icon 'i'), select 'Specify Licenses File' and select the "VoleLicenses.txt" file which is included in the archive. Click the top right "Renew Code Manager" (with a key icon ) button and choose the license. !!!IMPORTANT!!! Do NOT remove the file "VoleLicenses.txt"; it's best to move the file to a safe folder and repeat the "Specify License File" procedure." Then restart the program to have the license properly applied! krypteller, he means the Sanwhole Store for the free upgrade to lifetime lizenz. I have the same problems.